Mark Zuckerberg Announces Birth of His Daughter August! Mark Zuckerberg has announced that he and wife Priscilla Chan have welcomed another child into the world! The Facebook co-founder and CEO is now the father of a baby girl named August and he shared a photo of him, Priscilla, and their daughter Max with the newborn. “Priscilla and I are so happy to welcome our daughter August! We wrote her a letter about the world we hope she grows up in, and also hoping she doesn’t grow up too fast,” Mark announced on his Facebook page. Read the full letter in the embed below! Facebook's Mark Zuckerberg & Priscilla Chan Are Expecting Second Child! Dr. Priscilla Chan is pregnant and expecting her second child with husband, Facebook’s Mark Zuckerberg! “My next hope was that it would be a girl. I cannot think of a greater gift than having a sister and I’m so happy Max and our new child will have each other,” he continued. The pair got married back in 2012 and had a baby girl Max, who is now 15-months-old. Mark Zuckerberg Shows Daughter Max's First Steps in Facebook 360 Video! Mark Zuckerberg‘s 12-month-old daughter Max has taken her first steps and the proud dad shared the moment on his Facebook account in a super cool way! The 32-year-old Facebook co-founder filmed the moment using a 360 camera so he could capture every angle of the walk. Facebook founder Mark Zuckerberg and his wife Priscilla step out to check out the sights on Monday (August 29) in Rome, Italy. “We had a great time in Rome and wrapped with a visit to the Colosseum last night. Thanks to everyone we met and who has been so welcoming. We’ll be back soon!” Mark wrote on Facebook. That same day, the married couple met the Pope! 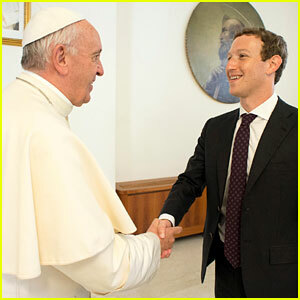 Mark Zuckerberg and his wife Priscilla Chan meet with Pope Francis on Monday (August 29) at his residence in The Vatican in Italy. “Together they spoke about how to use communications technology to alleviate poverty, encourage a culture of encounter, and to communicate a message of hope, especially to the most disadvantaged,” the Vatican said in a statement. 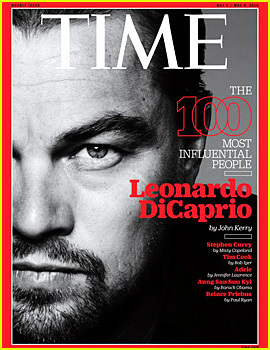 Leonardo DiCaprio and Nicki Minaj are just two of the stars featured on the covers of Time100‘s Most Influential People issues. Also receiving covers are Mark Zuckerberg with wife Priscilla Chan, Hamilton‘s Lin-Manuel Miranda, and Quantico‘s Priyanka Chopra. 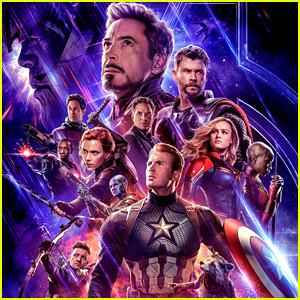 See all the covers below! Others named to the Time100 list include Ronda Rousey, Adele, Charlize Theron, Oscar Isaac, Ariana Grande, Taraji P. Henson, Lewis Hamilton, Melissa McCarthy, Karlie Kloss and many, many more. For more from the Time100 honorees, visit Time.com.